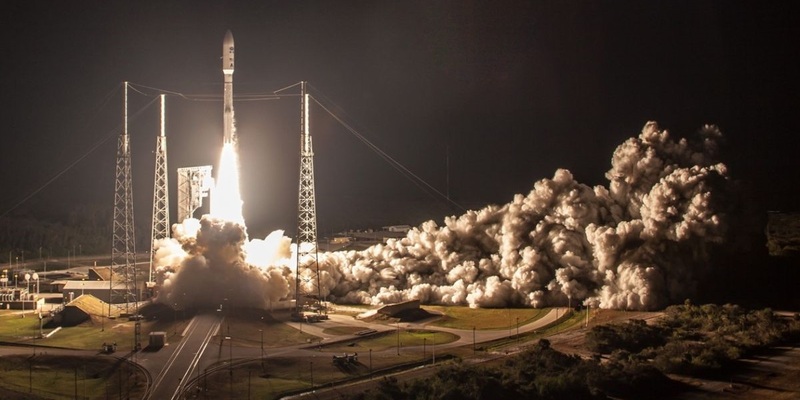 A United Launch Alliance Atlas V rocket will launch the AEHF-4 Advanced Extremely High Frequency Communications Satellite for the U.S. Air Force, joining three satellites launched earlier to provide the backbone of the Department of Defence’s military satellite communications architecture. Outfitted with state of the art encryption and anti-jamming features, the AEHF system delivers everything from low data rate mobile communications to extreme data rate capabilities to ground, sea and airborne assets. Built by Lockheed Martin, the fourth AEHF satellite will complete the baseline constellation capable of providing global coverage with another two satellites headed into orbit in 2018/19 to complete the system.